The whole of North Dallas is full of houses with excellent bones. These homes, many built in the 1970s, are just waiting for the right person to come along and revive them. I’ve long been in love with the bold, angular rooflines, vaulted ceilings, and open floor plans of 1970s soft contemporary architecture, and I get quite giddy when I see one that’s received an especially good-looking facelift. 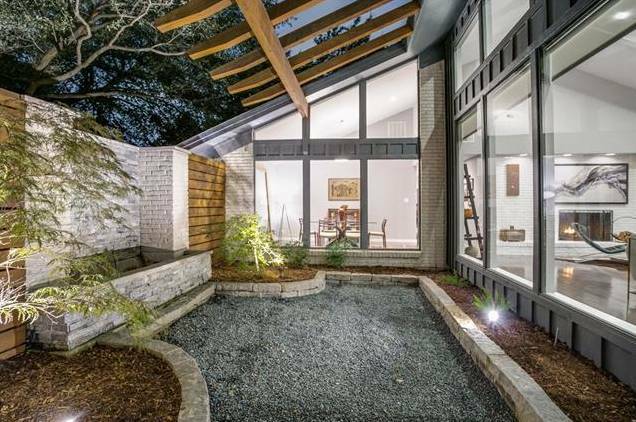 That’s what happened when Ernesto Miranda, Principal of Magellan Architects (formerly Walker + Miranda), took on 6212 Emeraldwood Place in the Northwood Hills neighborhood. Located just south of Belt Line Road and west of Hillcrest, this neighborhood is chock full of 1070s soft contemporary architecture. 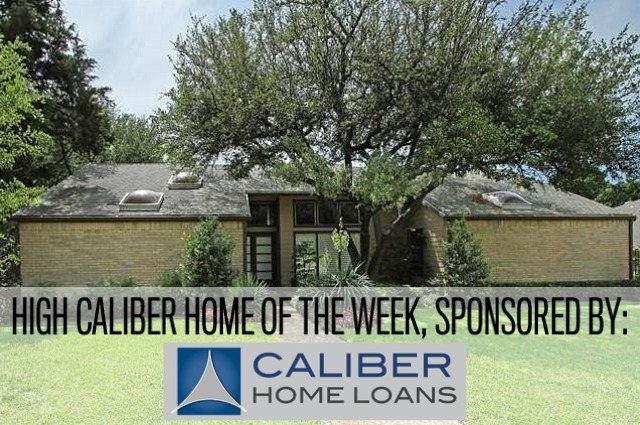 If you own one of these houses and need some inspiration for what’s possible, look no further than this Northwood Hills soft contmporary — our High Caliber Home of the Week presented by Lisa Peters of Caliber Home Loans. The invisible borders within the area we call “North Dallas” are many. You can live in North Dallas with Plano ISD or Richardson ISD schools, and then there are the subdivisions within the area, too, which each have their own unique character. 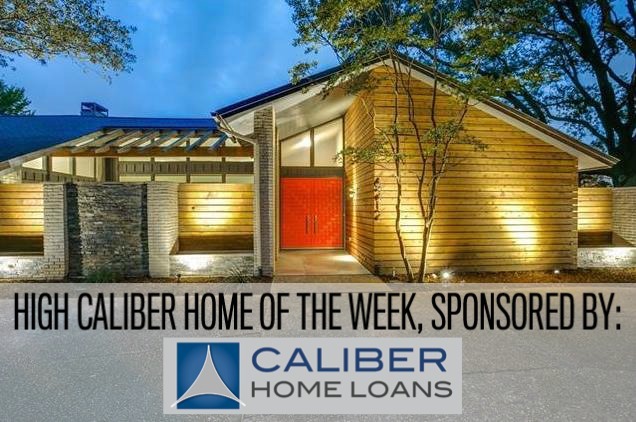 A great example of the diversity in location and architecture for the North Dallas area can be found in our High Caliber Home of the Week presented by Lisa Peters of Caliber Home Loans. This listing from David Griffin & Co. agent Robert Kucharski, a 1970s soft contemporary in the Peyton-Alpha Estates subdivision, is completely loaded and at a great price, too!